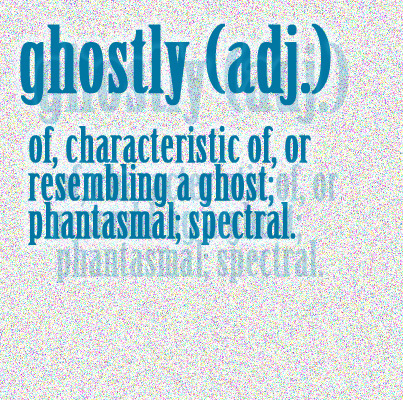 The origin of ghost is akin to the German word Geist for spirit. Spirit is such a more hopeful word, the essence or quality of someone or something. In many ways, our ghosts are that: we believe that the essence of someone still remains. We sometimes feel that the vestige is filled with dread or sorrow or rage, but that’s usually when we feel it’s someone unknown. But when we feel we catch a glimpse of a lost loved one, one we knew, we feel our own spirits rise. We all live with ghosts. Some nights they sit on our chests like an old hag, and we can’t breathe. Some days they brush past us and make us smile.